Julie West left school at 16 with few qualifications and little ambition. She overcame this to study for a degree, become a teacher and finally start her own lettings business – despite battling a long term illness. Find out how she did it. I left school at 16 with poor GCSEs, and wasn’t interested in a career at the time. So I went out to Lausanne, Switzerland as an au pair, then went to work in a sort of ‘half way house’ institute for people with psychological issues. I stayed in Lausanne for five years in total and became fluent in French. When I returned to the UK I studied travel and tourism at college and worked at the Grand Hotel in Brighton in reservations. I went on to study French and Italian at university as a mature student while working part-time on reception in at The Bath Priory Hotel. I then worked as a bilingual secretary for a local firm, did my teacher training at Portmouth and became a secondary school teacher for three years. How did your career change after starting your family? Teaching wasn’t working out for me as a mum. You can’t teach part-time (very well) and expect to be a recognised member of staff by the pupils. A part-time work load is often still a full-time work load in other ways, plus you get given all the ‘crap’ classes! I also became ill with an Inflammatory Bowel Disease (IBD) and when teaching, you can’t go to the toilet when you want to, so that didn’t work out! I also didn’t like the idea of working so much with my children being small. What made you decide to start a letting business? I was at home and ill, and my husband was struggling to manage his small property portfolio while working full-time. So I decided to take it over for him. The decision was fuelled by my husband and I bumping into an old school friend of his at a wedding – a partner in a local print and website design company. I’m sure he wanted to sell us a website (which he did!) but he was a genuine guy and was enthused by our idea of setting up a letting agency. How did you get started – how did you learn? I read a few self-help books, The E-Myth and The Compound Effect etc, they got me fired up. I also found out what training I could do in Lettings and Residential Property Management, and was able to do this from home and then sit the exams locally. We found online a company that was selling a package that helped you set up your own letting agency for £250, and it was well worth the money as it contained all the templates I needed and information about how to get set up, step by step. We already knew a lot about letting property but I did lots of further research and slowly, really slowly, started putting things together, putting systems in place to run our letting agency. What makes your business different from other letting companies? It has grown organically. My trusted and highly motivated friend, Melanie (who I met at the Grand in Brighton many years ago), has supported me from the start. We offer a personal service and we have the experience of having let our own properties for many years (we’ve even had to let our own house out in tougher times). When I meet new landlords, I don’t have a big sales pitch, it’s just me and I tell it how it is and they seem to like this approach. We’re in no rush to grow – fortunately my husband brings in his own salary, so we don’t have the pressure of hitting targets and becoming just a little too corporate. It gives me a sense of achievement. I’ve always lacked a bit of confidence, probably from not doing well at school. I like to be able to provide an excellent service, go the extra mile. I like being part of my town’s business community, and it’s great to get involved in what’s going on locally. You’ve suffered some health problems over the past few years – how did you manage your business around them? I never let my health problems rule my life. I’m lucky that I like to be on the go. I had two small children to look after and I just got on with it every day. I refused to be house bound because of the need to always be near the toilet and found my own way of getting around this and coping. In fact, by being my own boss, working from home, then second floor offices and then the shop with the toilet just behind my desk, meant I could get on and do what I needed to do anyway!! Running my own business also meant I had no time to think about my symptoms – whether my medication was giving me side effects, whether I was tired because of my illness, or whether I was feeling down because this illness would never go away (my symptoms refused to subside for five long years). What has been the biggest challenge in setting up your lettings business? To feel confident. It has never held me back but I always find I doubt everything I do and every decision I make, or at least I always have to seek reassurance. I always feel proud when my husband Rob tells people how amazing I’ve been, at running the lettings, setting it up etc. I just think nothing of it. I was proud when we opened our shop, too. What’s your vision for Micawber Lettings? Due to my need to seek reassurance I would actually love to also do property sales, but with a business partner – let them do the sales and I can do the lettings, but we can work as a team and I get that reassurance I am always searching for. We have a friend in mind, I think he might jump on board one day, but in the meantime we’ll just have to keep courting him! Don’t let anything hold you back. If you have an idea and it excites you, go for it. You can keep it small or grow it big, whatever you want because you are in control. Also, try not beat yourself up about neglecting your children in the process!! I do all the time and when I do, I always sit back and think for all the things I do do for them and if I count up all the quality moments we have every day, I don’t think they do too badly. Also, I would highly recommend the Mumpreneurs Networking Club. It was the first networking group I joined and everyone opens their arms to you. It’s the perfect place to share a coffee, feel inspired and promote what you do. 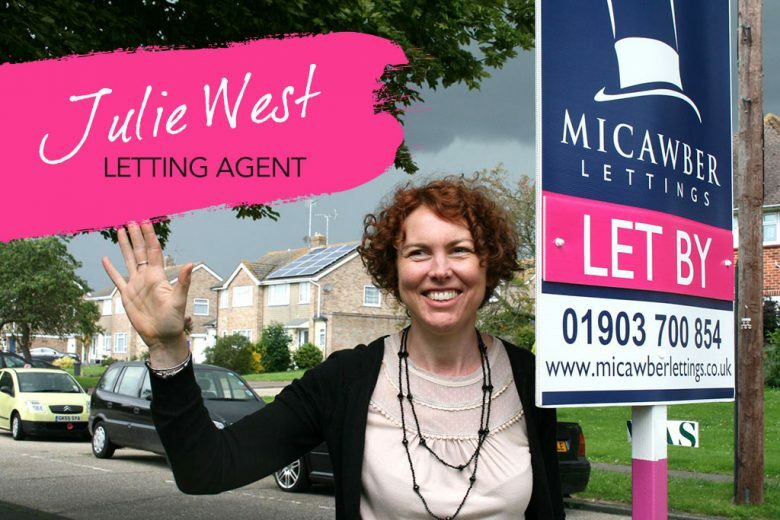 You can find out more about Julie and Micawber Lettings on their website.